English language arts are the vehicles of communication by which we live, work, share, and build ideas and understandings of the present, reflect on the past, and imagine the future. Through the English language arts, we learn to appreciate, integrate, and apply what is learned for real purposes in our homes, schools, communities, and workplaces. This course is designed to help a student develop language skills -- reading, grammar, composition, and oral communication. Varied forms of literature: short stories, poetry, plays and novels, as well as informational readings will form the basis of study, and will include such authors as: Homer, Shakespeare, Cisneros, Lee, and many others as well as the students themselves. Students will increase their proficiency in reading, writing, speaking and analysis in preparation for their future studies and careers. 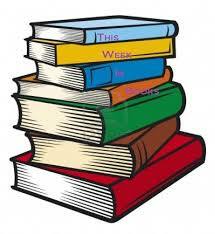 Units of Study: Through two semesters, we will cover vocabulary, grammar, writing, short stories, poetry, nonfiction.